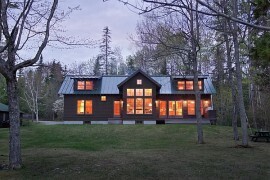 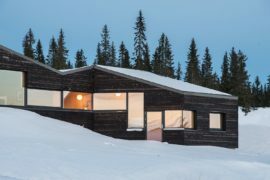 You do not really need a lavish mountain retreat to enjoy a calm weekend or two away from your routine life as you take in the sights and sounds of the snow-covered ski slopes around you. 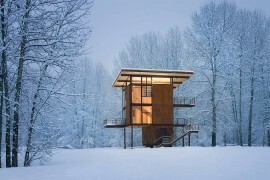 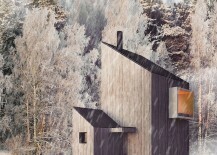 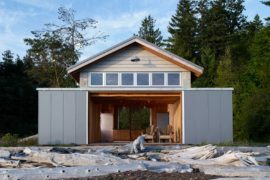 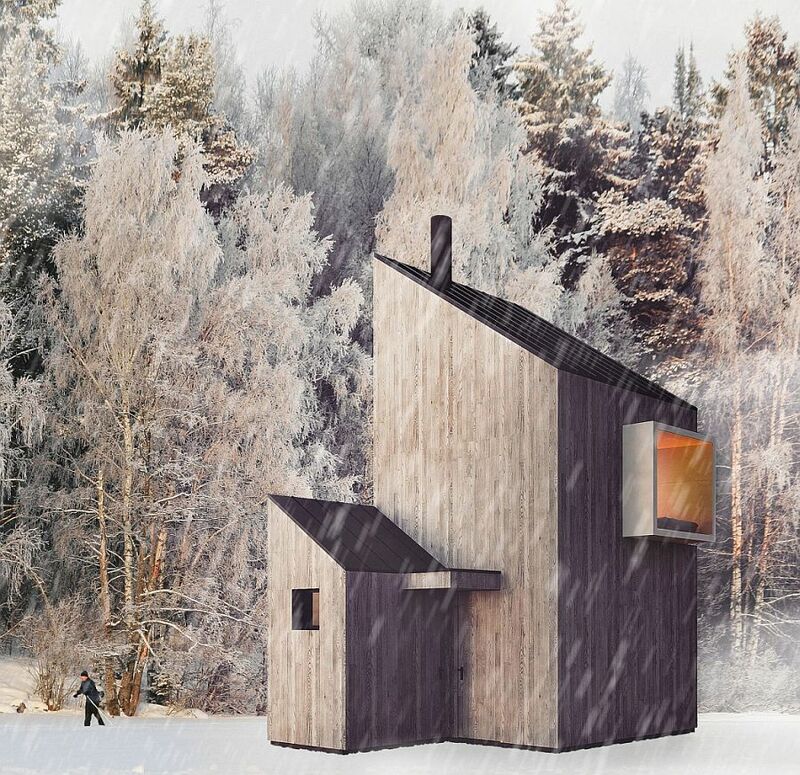 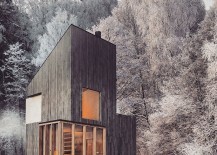 In fact, a small and elegant weekend cabin that combines unassuming simplicity with cozy comfort and modern beauty is the perfect winter shelter for many of us. 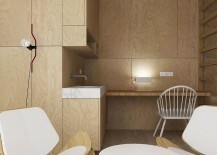 Not only does it cut down on the unnecessary use of materials, it also pulls a lot less tightly on our purse strings. 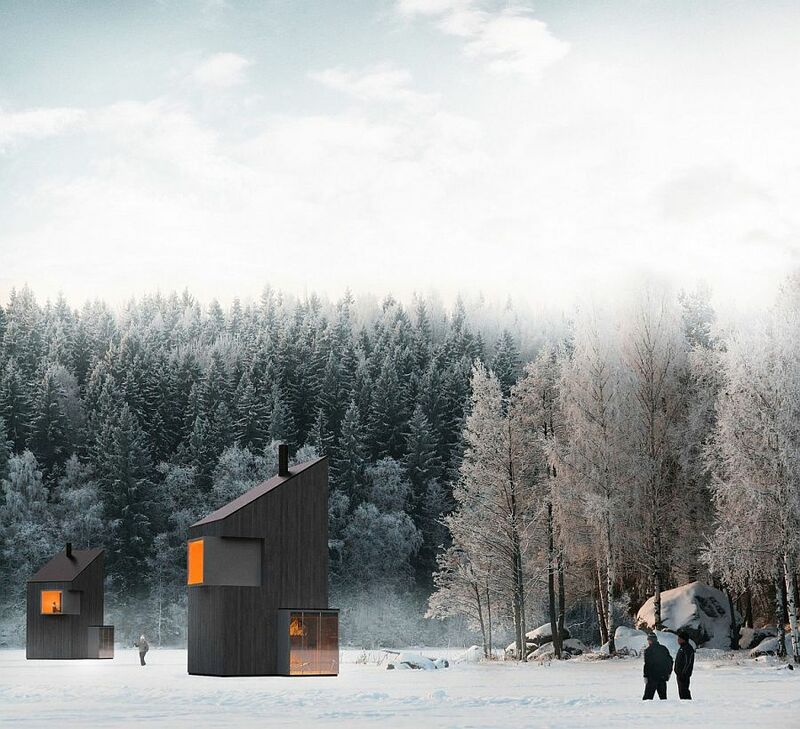 Located on the mountain Bjelašnica in Bosnia and Herzegovina and not too far away from the capital city of Sarajevo, this exquisite modern winter shelter was crafted by Armin Mešic from FO4A Architectur. 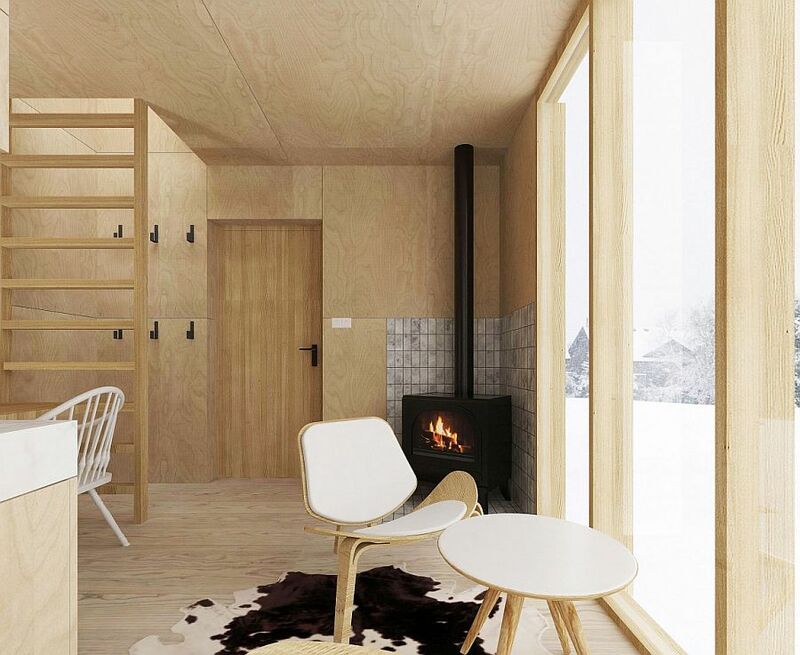 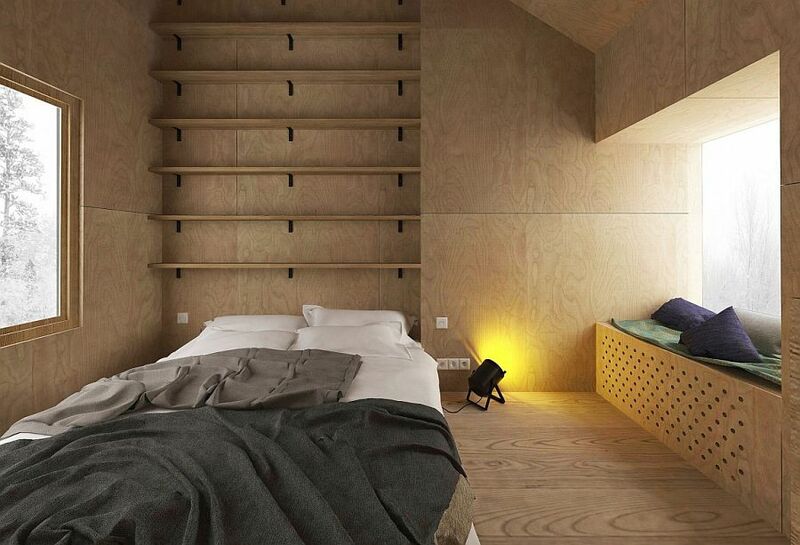 Spread across just 258 square feet (24 square meters), the interior of this ski hut is not all that spacious when compared to more extensive and expensive chalets in the region. 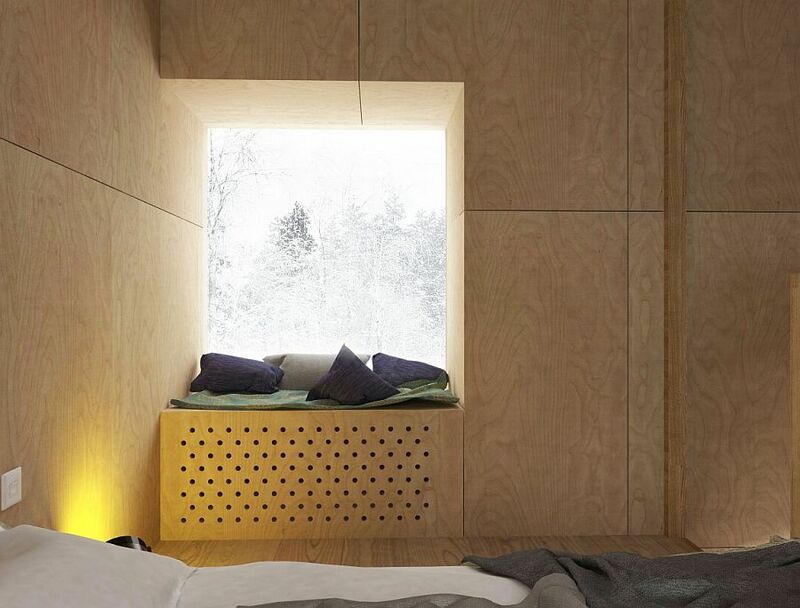 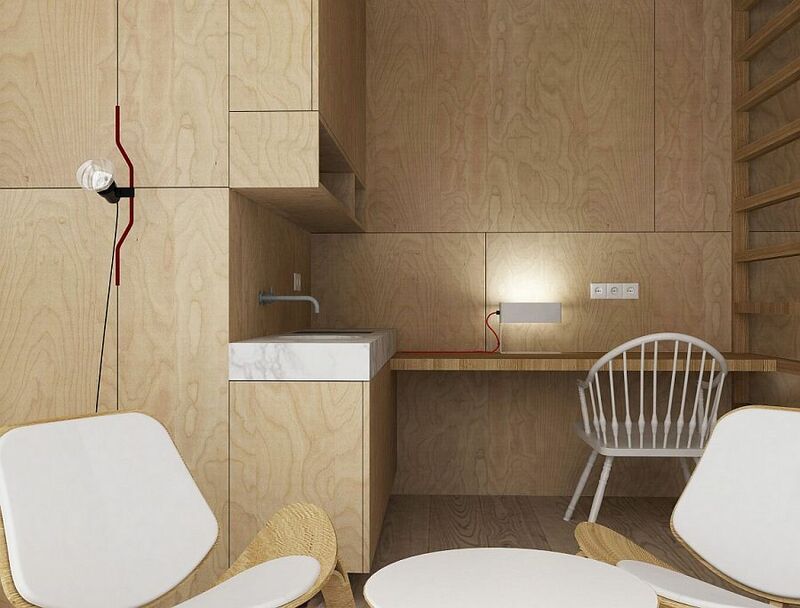 Yet its minimal design, wonderful use of wood and glass to shape a soothing interior, and the smart use of the limited available space turn it into an absolute dream. 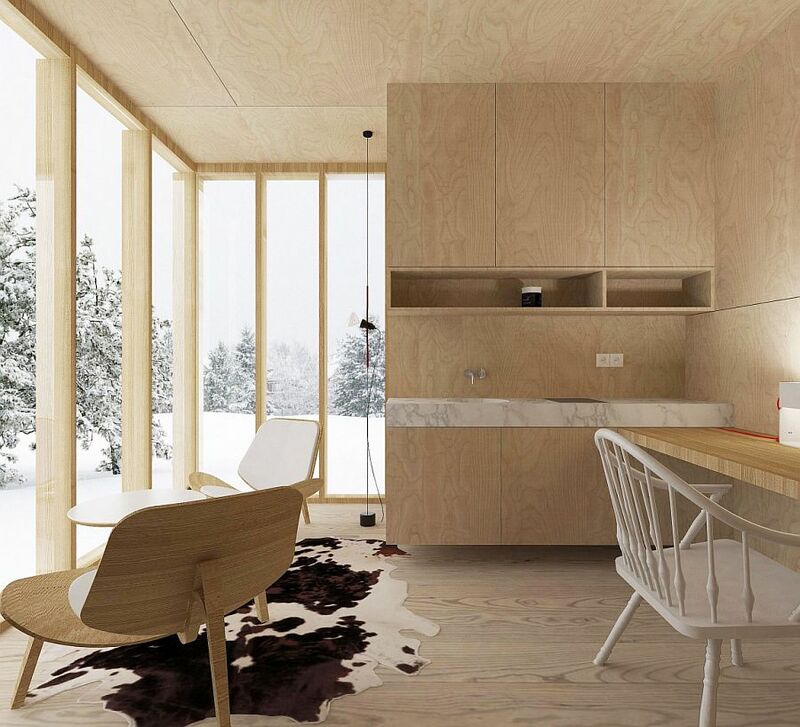 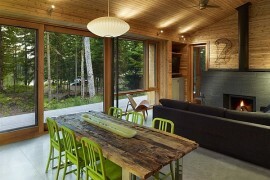 Wood not only gives the cabin top-notch insulation, but also ensures that it still has a hint of that woodsy cabin ambiance. 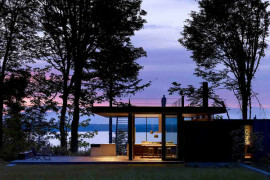 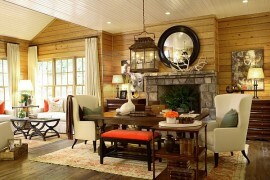 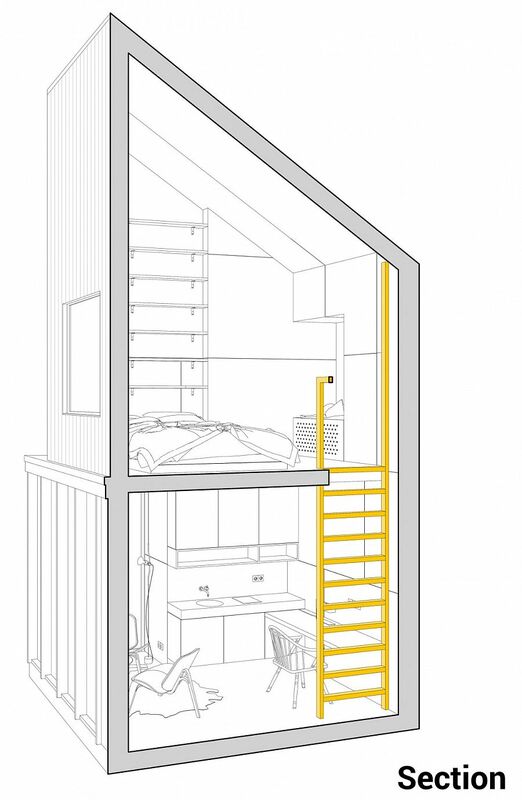 The lower level contains the living area, kitchen and a workspace, while the top level houses the lovely bedroom. 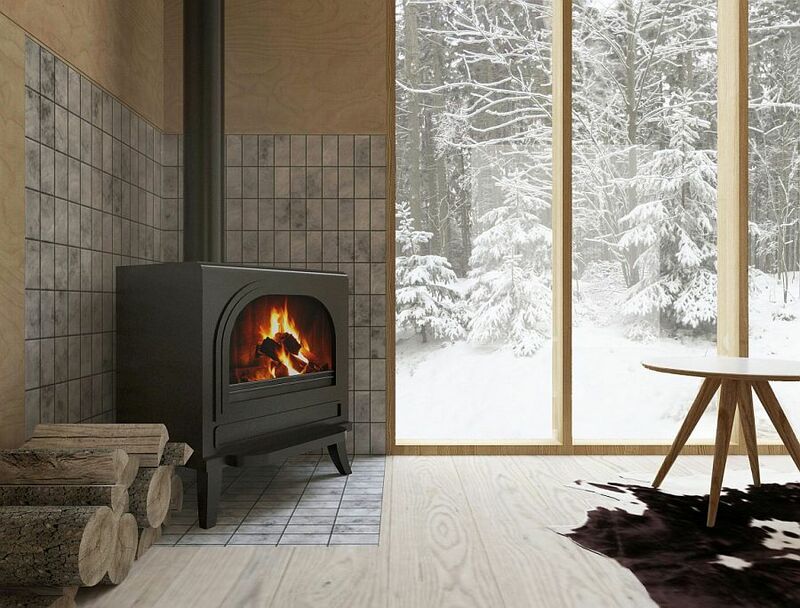 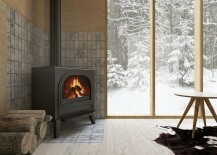 Bringing the snowy landscape outdoors inside are the large glass windows, while a cozy fireplace becomes the focal point in the elegant living space. 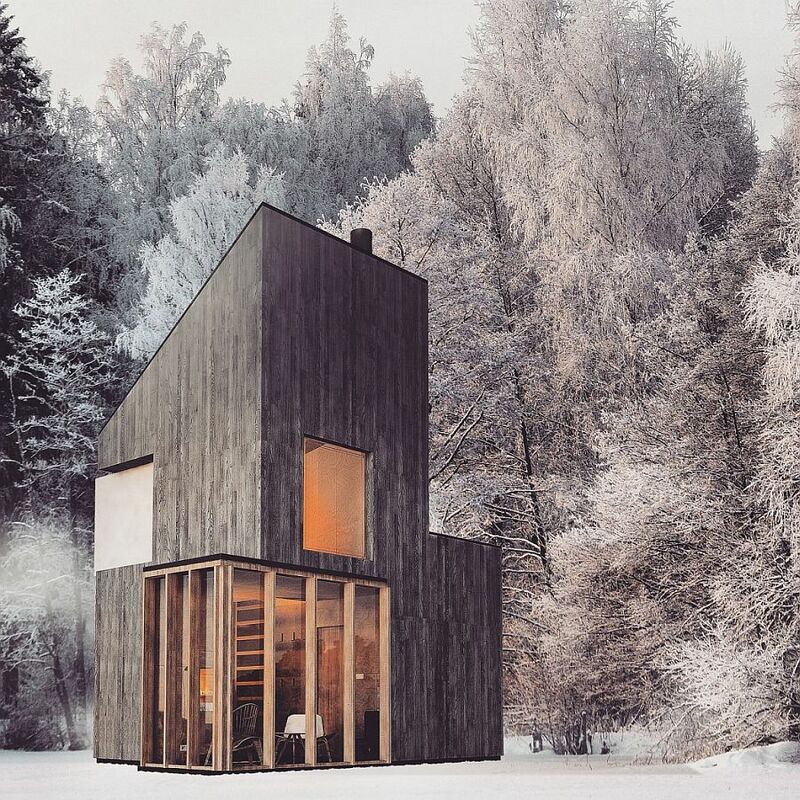 The use of durable low maintenance and natural materials along with a minimalist approach to the design give this ingenious winter retreat a style and personality that is both delightful and distinct.